The Nissan Altima is well known for its excellent fuel economy, quiet and smooth ride, and superb safety ratings. A recent pre-owned Altima will have all those characteristics at a budget-friendly price. If you are in the market for a sedan and are considering the Altima, then keep reading to learn more. 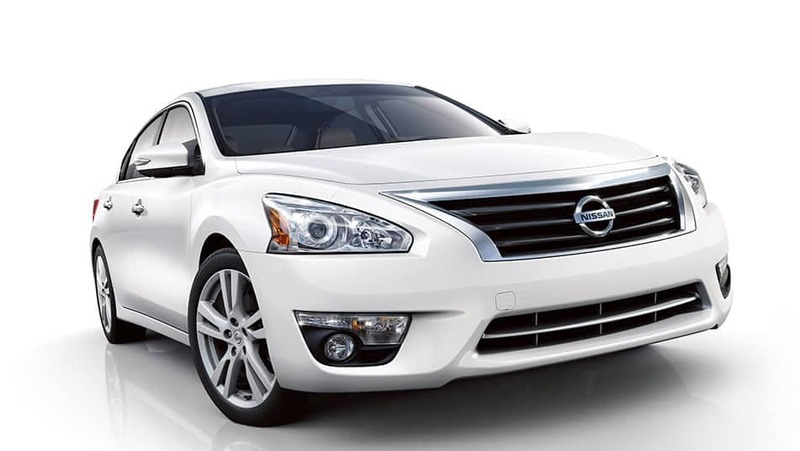 We are convinced that you will be impressed with the Altima! A recent pre-owned Altima has two engine options, depending on the trim. The first engine option is the 2.5-liter four-cylinder engine, capable of 182 horsepower and 180 pound-feet of torque. Fuel economy for Altimas with the four-cylinder engine ranges between 30-31 mpg combined, an impressive number for a full-size sedan. The second engine option is the 3.5-liter V6, which adds some serious kick to the vehicle’s acceleration. This engine generates 270 hp and 251 lb-ft of torque, and it can propel the Altima to 60 mph in approximately 6.2 seconds! Gas mileage with this engine option is roughly 26 mpg combined. A recent pre-owned Altima will also have front-wheel drive and a continuously variable transmission. The Altima has a well-appointed cabin with high-quality materials. The driver information screen has crisp graphics, and it is easy to read. The front seats are extremely comfortable and supportive thanks to the NASA-inspired “zero-gravity” design. Technology on the dash includes a 5-inch touchscreen or an upgraded 7-inch touchscreen, depending on the model or existing upgrades. NissanConnect, the infotainment system that can integrate with your smartphone, might also be available. Trunk space in the Nissan Altima measures at 15.4 cubic feet, and its extra wide and low trunk opening makes cargo loading easy. The Altima also offers plenty of storage spaces for personal items in the cabin. Standard features in the base trim Altima will typically include 16-inch steel wheels, full power accessories, a height-adjustable driver seat, Bluetooth, and a four-speaker sound system with an auxiliary input jack, just to name a few. Higher trim levels will include a variety of upgrades that offer more comfort, luxury and convenience. Some of these features include automatic headlights, a heated steering wheel, leather upholstery, heated front seats, keyless ignition and entry, cruise control, an upgraded sound system, a power driver seat, a sunroof, rear air-conditioning vents, and more. Does a used Nissan Altima have a V6 engine? Yes! A V6 engine is available in a recent pre-owned Altima. Contact us below so we can help you find a V6-equipped Altima. Can you help me finance my vehicle? Yes, we have a finance center that can help you with your financing needs. Click here to go to our Finance Center! Can I see your pre-owned vehicle inventory? Yes! Click to see our pre-owned vehicle inventory here! Recent pre-owned Altimas score incredibly high in the safety arena. In government crash testing, recent Altima models earned a perfect five stars for overall crash protection. Standard safety features in the Altima include antilock brakes, stability and traction control, multiple airbags, and more. Some will also have a rearview camera and might have advanced features such as a blind-spot monitor, ing, rear cross-traffic alert and lane-departure warning. The Altima is a powerful sedan with a host of interior comfort and safety features. Why not come down and see our inventory of pre-owned Altimas? We would love to help you with your vehicle selection!